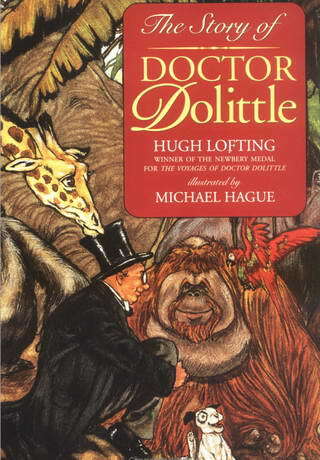 In The Story of Doctor Dolittle (1920), the first of Hugh Lofting’s Doctor Dolittle books, we are introduced to the good doctor who gives up treating people after Polynesia, his parrot, teaches him animal languages. His fame in the animal kingdom spreads throughout the world and soon he sets off to cure a monkey epidemic in Africa, finding all sorts of exciting adventures on the way. This recording is of the original edition, which is in the public domain. Later editions, which are still under copyright, changed some language and plot elements that are considered racially derogatory.